We have successfully developed intelligent street light controller for switching street lights such that it provides excellent service with optimum energy utilization. Its switch ON and switch OFF street lighting on longitude and latitude basis. The unique concept of switching will save up to 41 % of energy bill of street lighting. 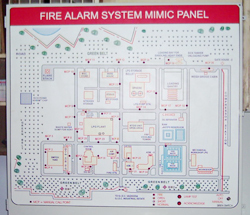 We have successfully installed more then 2000 systems in Municipal Corporation like Vadodara, Surat, Gandhinagar, PUNA Cantonment Board and in corporate sector I O C L, G S F C , G A C L, I P C L and many other industries.. We have wide range of model available as per application and as per customer requirement. It has also pc connectivity, wireless mode with GSM & user friendly software for ease of parameter setting. We have wide range of models starts from potential contacts to power output. 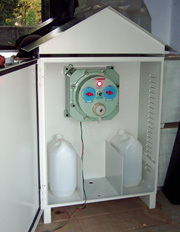 We also mfg customize systems for street lighting as per user specifications. Accurate, reliable sampling and proper analysis are the two basic requirement of any industry to take remedial action for pollution free effluent discharge system. In spite of having very accurate and costly equipment and well-trained staff for analysis, many industries fail to restrict the level of pollution in effluent to the required standard due to high level of errors and limitation in manual sampling. And save man power too. 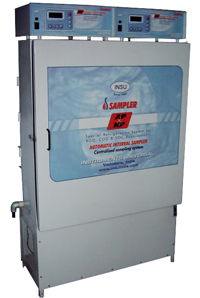 Looking into the general need of various industries INSTRUMENTS UNIVERSAL has developed AUTOMATIC INTERVAL SAMPLER an import substitute for reliable and accurate sampling of effluents. 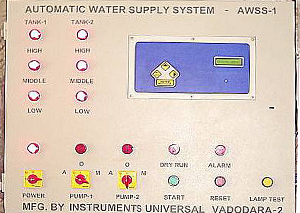 We have sold more then 1000 sampling systems though out India in all segments of industries. Two category of sampler one Composite sampler with one container, Composite sampler with shift wise container for analysis the sample one or three per day second one is Discreet sampler of 12 or 24 sample container for each sample analysis for critical process. All sampler with optionally available with refrigeration systems for VOC, COD / BOD requirement. Also above units are available optionally with battery operated systems for remote sampling or where power supply is not stable. 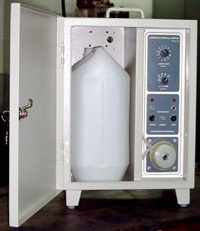 All above units are available optionally with refrigerated compartment for collected samples which keeps the sample at 4 +/- 1 degree C specifically for VOC, COD/BOD requirement. Also above units are available optionally with battery operated systems for remote sampling or where power supply is not stable. It is designed for more then 36 hours of sampling without power and system is designed with inbuilt intelligent charging systems for better battery life. The unit consists of two control systems IU 802 AP 1- 3 and IU 802 HP 3 - 3 refrigeration systems, 12 sample container of 5 liter carboy, sample distribution solenoid vales, sample flushing solenoid valves and peristaltic sampling pump house temperature sensor for incoming sampling line, house in a sturdy industrial M S box with powder coating cabinet and Refrigeration compartment with in S S.
Real Time, microcontroller based water supply system with close loop controller. It has real time clock with battery back of 8 years and will switch on & off the pumps with monitoring level in tanks and custom programmable time with keeping ON for decided time incase of power fail or inlet water availability. It also incorporates dry run protection for pumps. Installed at HWP Danteshwar and Nizampure colony. This sytems is very useful for colony and Municipal Corporation which saves water, electricity and avoids mal practice. 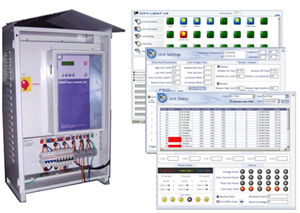 It is optionally available with GSM connectivity for changing the parameter remotely for multi location systems in corporations. In – situ metallography has become one of the important NDT tool for industrial inspection system. We introduced INSIPOL-2000 , a unique portable Electrolytic Polisher/Etcher with advanced control system and ease of operation to meet this demand. The INSIPOL- 2000 is designed to help practicing metallurgist to overcome practical difficulties. ABB, IGCAR, L&T, IIT Khargpur, BHEL, GSFC etc are some of our satisfied customer of INSIPOL-2000. 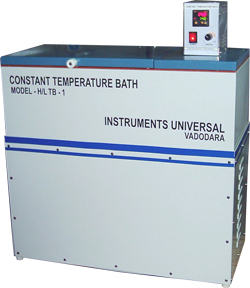 Very use full instruments for life assessments of equipments. 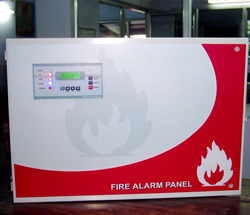 A microcontroller base fire panel with advance analog to digital conversion systems with data logging with time stamping of events and with inbuilt redundant control systems for backup of main controller for higher reliable operations. Connect more than one MIMIC panel with any distance and without Booster panel. Systems has advance feature for the cable fault finding and fire fault finding. Systems installed at GAIL Waghodia. It is available with 2 to 64 zones. i.e connectivity of 512 detector. 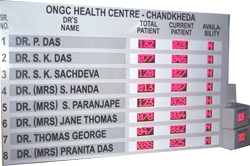 Designed and supply various type of stand alone Display board and centralize computer interface multiple display systems as per customer requirement. Display size from 2 inch to 8 inch or as per requirement. Provides interface for serial port interface with computer and analog input systems with 4 to 20 ma systems. Graphical and animated display (multi color) system is under development. 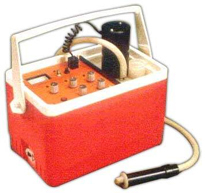 Tubing pumps i.e. peristaltic pumps are being used successfully in many industries like food processing, Pharmaceutical, chemical, laboratories for research, agriculture and water treatment. It is specifically used for dispensing, sampling, filtration, and general fluid transfer. 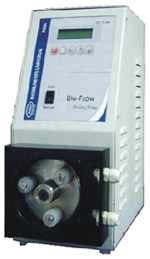 Dosing pump is ideal for pumping abrasive as well as corrosive liquids. Considering general industrial requirements can give best result along with long tube life and less maintenance. All parts of pump are indigenously developed. Tubes, which are used in this, pump available in our country. Silicon tubing is used in this pump, which has long self life. We have wide range of pump with advance microcontroller base technology with precise and high accuracy. We supplied as per customer specifications. 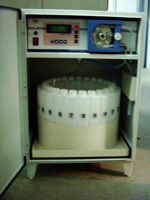 Food / pharmaceutical processing where sterilization media dispensing Require. S M F battery manufacturing. Acid filling in new battery installation and removing acid from battery while Maintenance. Sugarcane juice sampling. Chemical additive pump. Chemical dosing in batches processing. Ideal for the Lab or Plant.